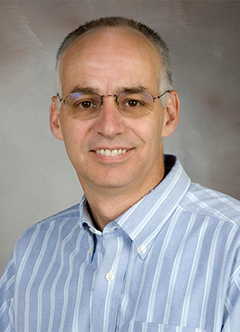 Professor Dean Sittig, Ph.D. has been elected to the inaugural class of the International Academy of Health Sciences Informatics (IAHSI), or the Academy for short. There are 120 founding Academy members and they represent over 30 nations from across the globe. Only 33 founding members are from the United States, including Sittig. Members of the Academy are deemed as “living leaders in health informatics” according to the International Medical Informatics Association (IMIA) which established the Academy this year. For more details on Sittig's election, read the SBMI news story. SBMI would like to congratulate all summer 2017 scholarship recipients and thank all students who took the time to apply. In May, Cui Tao, Ph.D., associate professor, was invited to participate in the National Academy of Engineering’s 2017 US Frontiers of Engineering Symposium. The Frontiers of Engineering program assembles a group of emerging engineering leaders to discuss cutting-edge research in various engineering fields and industry sectors. The goal is to bring participants together to collaborate, network, and share ideas. The symposium will take place in East Hartford, Conn. Sept. 25 to 27. Professor James Langabeer, Ph.D., MBA, was recently re-appointed as National Chair of the American Heart Association, Ambulatory Quality Improvement Committee. Dr. Ross, along with SBMI Assistant Professor and Alumna Kimberly Smith, Ph.D. recently finished the 18-month UTHealth Health Educators Fellowship Program. Ross and Smith presented their research findings at a poster session on June 9. Professor James Langabeer, Ph.D., was featured in a Healthline.com story regarding when to call an ambulance. Professor and Founding Director of the Center for Precision Health (CPH), Zhongming Zhao, Ph.D. was featured in a UTHealth news article focused on tools developed at CPH to single out “actionable” cancer-causing mutations. CPH Seminar in Precision Medicine at UCT 1412, 3 p.m.